(Download presentation, this is a large file) Carlo Ghezzi is a Professor and Chair of Software Engineering in the Department of Electronics and Information of Politecnico di Milano. He is the Rector's delegate for research, past member of the Academic Senate and of the Board of Governors, and past Department Chair. He held temporary positions at University of California at Los Angeles, University of North Carolina at Chapel Hill, University of Padova, ESLAI-Buenos Aires, University of California at Santa Barbara, Technical University of Vienna, University of Klagenfurt, University of Lugano. 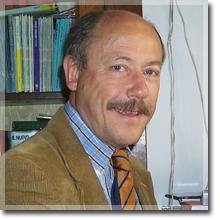 He is an ACM Fellow, an IEEE Fellow, and a member of the Italian Academy of Sciences. He was awarded the ACM SIGSOFT Distinguished Service Award (2006). 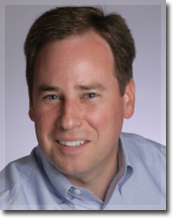 He has been a member of the ACM Nominating Committee, and is presently a member of the committee for the ACM Software Systems Award and a Member-at-Large of the ACM Executive Committee. He has been on the evaluation board of several international research projects and institutions in Europe, Japan, and the USA. He is a regular member of the program committee of important conferences in the software engineering field, such as the ICSE and ESEC/FSE, for which he also served as Program and General Chair. He was General Co-Chair of the International Conference on Service Oriented Computing. Ghezzi has been the Editor in Chief of the ACM Trans. on Software Engineering and Methodology (from 2001 till 2006). He is currently an Associate Editor of IEEE Trans. on Software Engineering, Science of Computer Programming, Service Oriented Computing and Applications, and Software Process Improvement and Practice. Ghezzi�s research has been focusing on software engineering and programming languages. Currently, he is especially interested in methods and tools to improve dependability of adaptable and evolvable distributed applications, such as service-oriented architectures and ubiquitous/pervasive computer applications. He co-authored over 160 papers and 8 books. He coordinated several national and international (EU funded) research projects. He has recently been awarded an Advanced Grant from the European Research Council. At software engineering's 40th birthday, do we know which software engineering ideas matter most? In this talk, award-winning author Steve McConnell identifies 10 of the most powerful ideas in software engineering. McConnell explains how the 10 ideas form the foundation for effective software development, and he shows how practices ranging from the waterfall model to extreme programming measure up. He uses these key ideas to explain which currently popular software engineering practices will withstand the test of time, and which are fleeting fads. Steve McConnell is best known as the author of: Software Estimation: Demystifying the Black Art, Code Complete, Second Edition, Rapid Development, and other software industry classics. His first two books won Software Development magazine's Jolt Excellence award for best programming books of their years. In 1998, readers of Software Development magazine named Steve one of the three most influential people in the software industry along with Bill Gates and Linus Torvalds. He is past Editor in Chief of IEEE Software magazine and past Chair of the IEEE Professional Practices Committee. Steve currently works as CEO and Chief Software Engineer at Construx Software, where he personally works with a few select clients to improve their software development practices, and also oversees the rest of Construx's work with many other companies. He can be reached at stevemcc@construx.com. The Internet no longer meets the world's requirements. Recognition of the Internet architecture's inherent flaws has opened a window of opportunity for fresh thinking: granting agencies in both Europe and North America are funding large programs to lay a foundation for the next Internet. The skills and perspective of the networking community are necessary but not sufficient to meet the needs of those who develop and deploy networked applications. The current Internet exhibits problems due to prejudice against application servers, neglect of the functional aspects of networking, poor understanding of abstraction and composition, and conflation of concerns. These problems make some applications very difficult to build and deploy, and they do not appear in the networking research community's mainstream agenda for improving the Internet. Software engineers are already solving some of these problems by means of middleware. It is time for software engineers to broaden and deepen their interest in the Internet, so that we can design a hierarchy of composable, optional, functional overlays as the architecture of the next Internet as seen by applications. At the same time, we must work with the networking community to merge our top-down viewpoint with their profound bottom-up understanding of network resources and performance. Pamela Zave received an A.B. degree in English from Cornell University, and a Ph.D. in computer sciences from the University of Wisconsin--Madison. She has held positions at the University of Maryland and Bell Labs, and is now with AT&T Laboratories--Research. Dr. Zave is interested in all aspects of formal methods for software engineering as applied to networks. 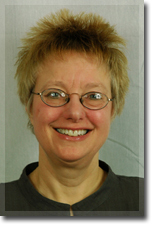 For the past ten years she has worked with a group of other researchers building and analyzing IP-based voice and multimedia services using the Distributed Feature Composition architecture, invented by her and Michael A. Jackson. Her other research interests include requirements engineering and multiparadigm specification. Dr. Zave is an ACM Fellow. She has won the International Conference on Software Engineering Ten-Year Most Influential Paper Award, the International Requirements Engineering Symposium Ten-Year Most Influential Paper Award, the AT&T Strategic Patent Award, and the AT&T Science and Technology Medal. She has also won three Best Paper awards, and holds 12 patents in the telecommunications area. Dr. Zave is currently chair of IFIP Working Group 2.3 (Programming Methodology).